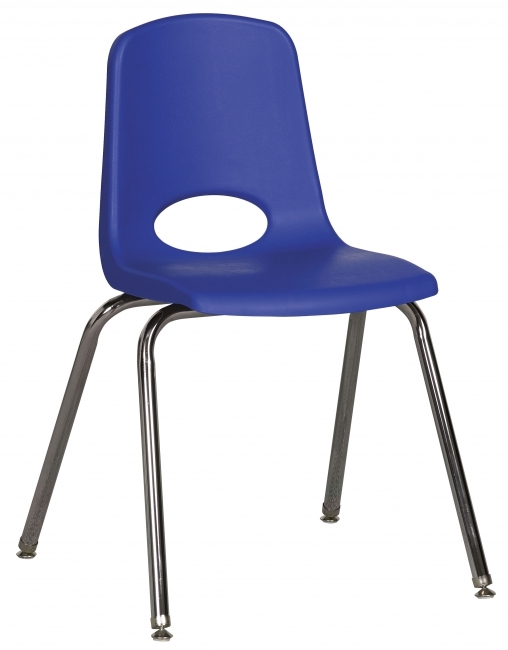 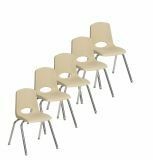 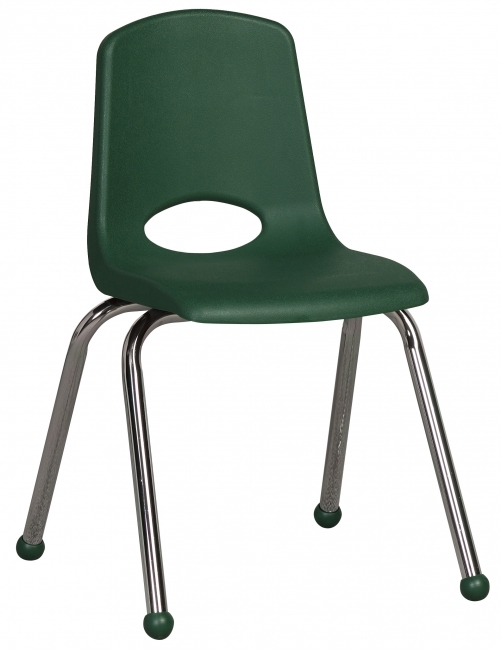 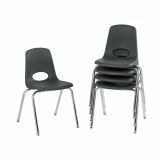 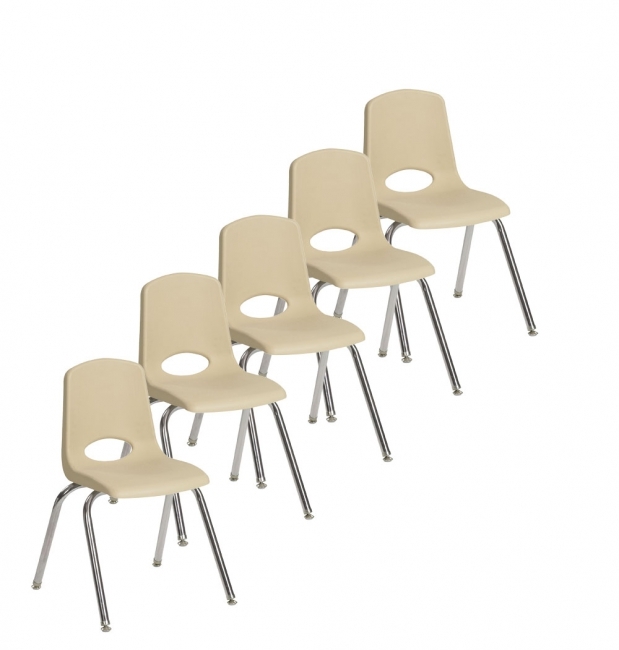 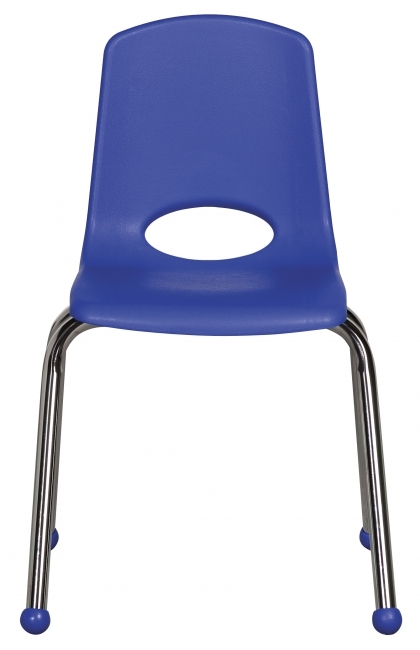 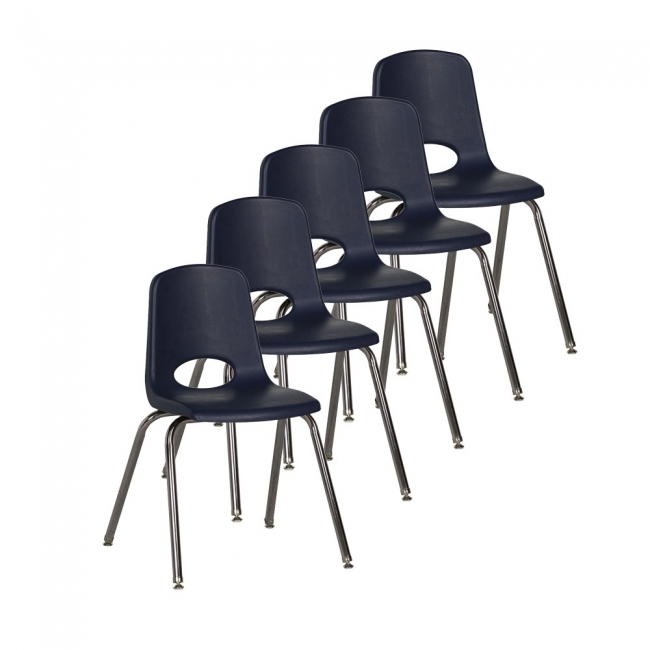 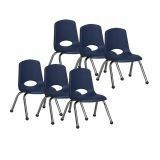 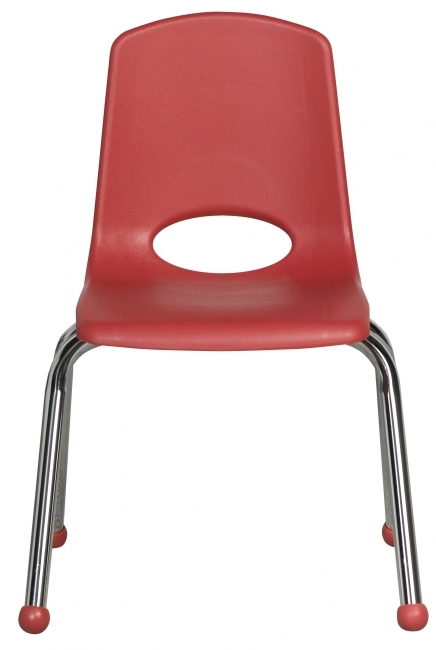 Innovative school stack chair in 18" features a molded seat with vented back, reinforced ribbing in back and under seat for strength, steel legs with steel lower back support. 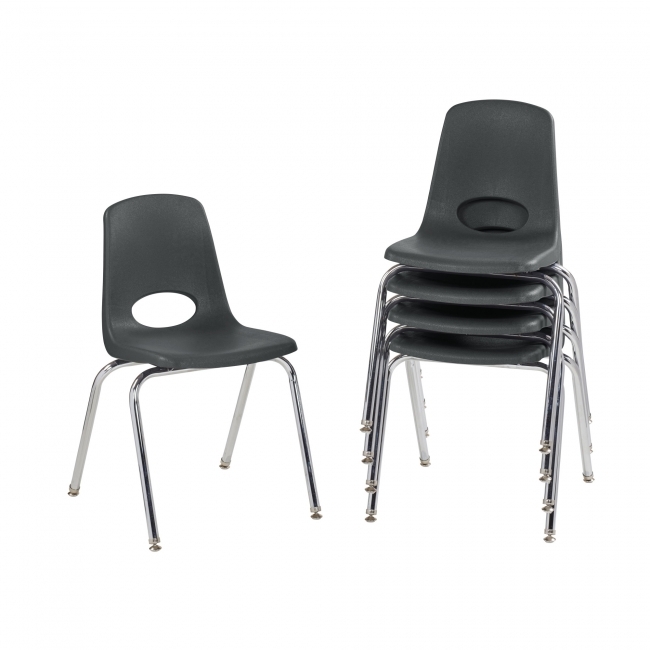 Leg and seat angles are designed for better fit and comfort for adults, adding a slight tilt-back to the seat. 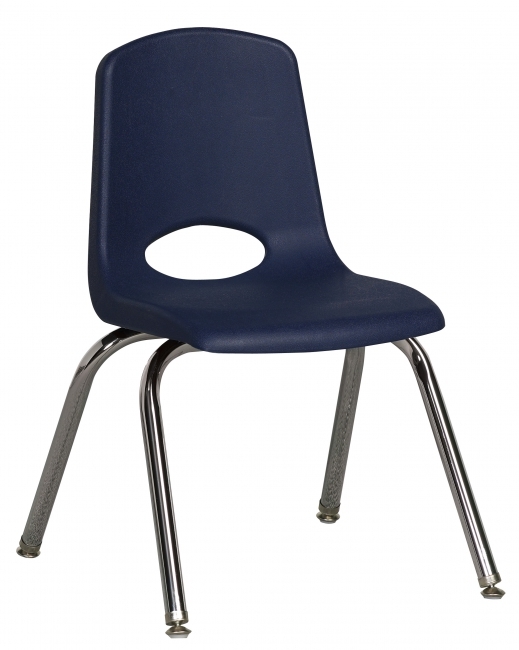 No penetration of screws through the seat surface. 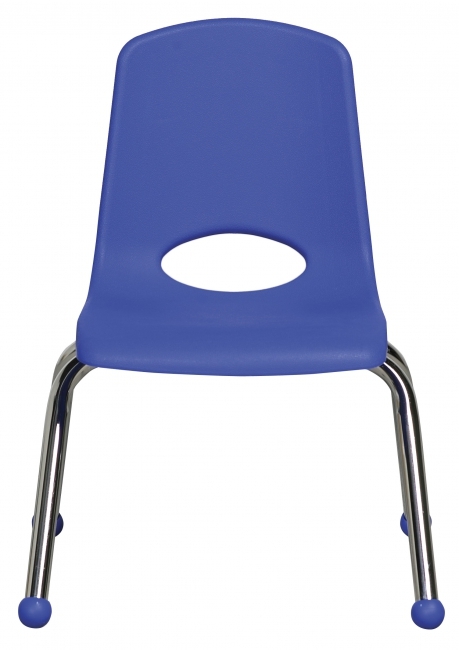 The 18" Stack Chairs are available with chrome legs and nylon swivel glides, perfect for hard floors.